That last point is one that I’ve been struggling with. I’m overjoyed that Hardinge is finally getting the recognition she so richly deserves, but I churlishly don’t want that recognition to come for this book, which is by no means bad, but also so far from what she’s capable of. 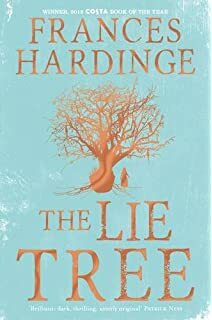 I’m worried that the acclaim The Lie Tree is getting is precisely because it tones down so many of Hardinge’s quirks in favor of what feels to me like didacticism, and that in the face of that kind of success, she won’t be able to help skewing towards more books like this in the future. I don’t know– I think Hardinge’s commitment to the sort of thing she does is sufficiently strong that she isn’t likely to change tack too drastically. But I’d like to see the sort of characterisation that Cuckoo Song has more widely rewarded in literary circles in general, and I hate that situations like this suggest it’s not going to be.